An ‘invasive ark’ for genetic diversity? 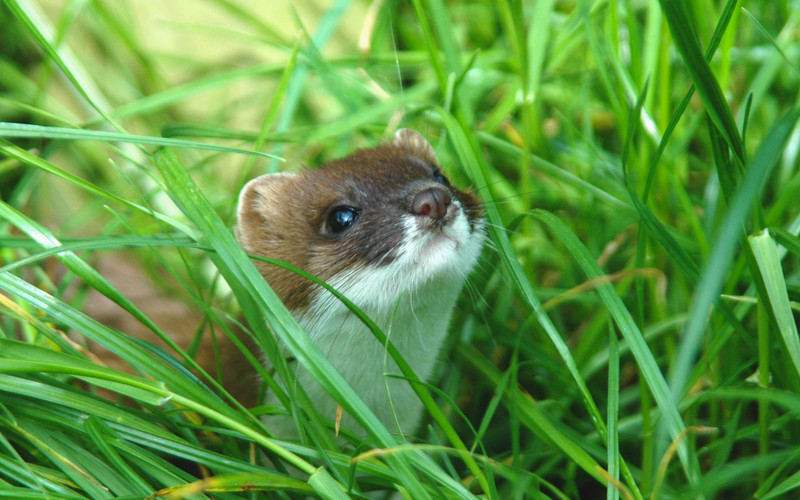 A recent paper reveals that introduced stoats (Mustela erminea) in New Zealand have greater genetic diversity than in their native Britain, from where they were introduced in the late 1800s. The results are unusual because introducing a species to a new area is usually associated with a loss of genetic diversity, due to the small numbers released. The current situation of stoats in Britain and New Zealand is the result of a series of ill-fated attempts at biological control of pests. Hundreds of British stoats were introduced to New Zealand during the latter part of the 19th century (along with weasels and domestic ferrets) in a failed attempt to control rabbit numbers. Rabbits had previously been introduced to New Zealand for food and sport, but had become agricultural pests. The stoats introduced to New Zealand were ineffective at controlling rabbits, but they spread throughout much of the country and are implicated in the decline of many native birds, including kiwi and kakapo. The swimming ability of stoats has resulted in their colonization of several offshore islands, where they flourish, especially in the presence of introduced mice. Many conservation programmes now include the control or local eradication of stoats, to allow recovery of threatened endemic birds. However stoat incursions continue on some islands from which they have been eradicated. There are now plans for the complete eradication from New Zealand of these and other mammalian predators in the long term. Stoats have greater genetic diversity in New Zealand than in Britain, but this should not compromise attempts to control this invasive predator in New Zealand. Photo by Patrick Garvey. Several decades after stoats were introduced to New Zealand, the native stoat population in Britain suffered a drastic decline in abundance when rabbits, their main prey there, were decimated by myxomatosis, which was introduced to Britain in the 1950s as a control measure for rabbits. When the native stoat population in Britain collapsed in the wake of the introduction of myxomatosis, introduced stoats in New Zealand effectively conserved a reservoir of genetic diversity from the original British population. Paradoxically, the misguided introduction of stoats to New Zealand has created an ‘invasive ark’ for genetic diversity of this species. However, this should not compromise efforts to control or eradicate stoats in New Zealand. Perhaps the British would like them back? 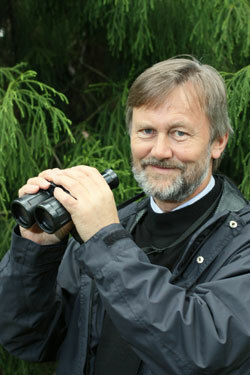 Professor Mick Clout is a vertebrate ecologist at the School of Biological Sciences, University of Auckland. Mick works on the conservation biology of threatened species, such as New Zealand’s native pigeon the kererū, as well as the ecology of invasive mammals, such as possums, hedgehogs, cats, mustelids and rodents. From 1993-2009 he chaired the IUCN Invasive Species Specialist Group (ISSG), a global group of scientific experts on invasive species. What’s the point of urban ecology? What’s the point of urban ecology? This is a question I get asked a lot. Many ecologists believe ‘real ecological research’ occurs outside of city boundaries, preferably the further the better from a city. While the focus of ecologists and conservationists is often on biodiversity outcomes within protected areas or in rural areas, the perceptions and values of city-dwellers disproportionately (in terms of numbers of votes!) influence decision-making around management of biodiversity outside cities. Therefore, the often limited experiences city-dwellers have with nature, such as seeing a tūi in their backyard, can greatly affect biodiversity outcomes. However, we also know that there is an increasing disconnect between people and nature as we become more urbanised. How many city-dwellers have visited a regional or national park in the last year? Reconnecting people with nature in the city not only benefits their mental and physical wellbeing, but can also have positive effects on how they value biodiversity and take action on conservation issues. The 2008 Erfurt Declaration also recognises the intrinsic value of urban ecosystems. Globally, urban areas can be hotspots for biodiversity – cities are often built in very fertile areas, and can be centres of evolution and adaptation. Josie Galbraith’s project on the effects of backyard bird feeding on bird communities. Washing lines for hanging birds bags and deck furniture for banding and microchipping birds are a blessing for the urban researcher! There are a range of exciting and interesting research questions to be asked about biodiversity in cities. While some drivers of change are unique to cities, most are just modified versions of what’s happening outside cities (e.g. habitat loss) or are agents of change originating from cities (e.g. pollution, invasive species). My lab group are tackling questions, such as whether people feeding birds in their backyards can restructure urban bird communities, how light pollution might influence ecosystem function (eg. pollination) and how robust connectivity is for bird-dispersed plants within fragmented urban landscapes. Two of the most frustrating things about urban ecology are: firstly, you can’t escape people (more social scientists please! ); and secondly, there are no large, homogenous landscapes in which to put untold replicates. Experiments are critical for untangling drivers and interactions, but conducting experiments in urban landscapes can be very challenging: the high levels of variability over short distances, negotiating access to sites from many landowners/householders, and the high risk of vandalism to equipment. Even the main health and safety fieldwork issues are unusual: domestic dogs and dubious people, rather than getting lost in the bush or being injured far from a hospital. But if it all comes together, the results can be great. 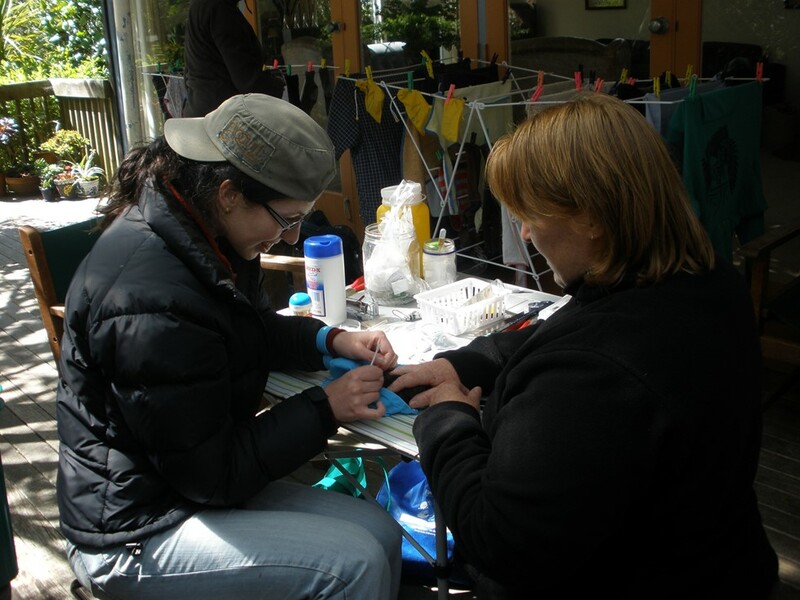 Watch this space within the next week or two for PhD student Josie Galbraith’s PNAS paper, where we report on our 18-month bird feeding experiment in suburban Auckland. Road ecology research often requires the use of an orange flashing light on your car! 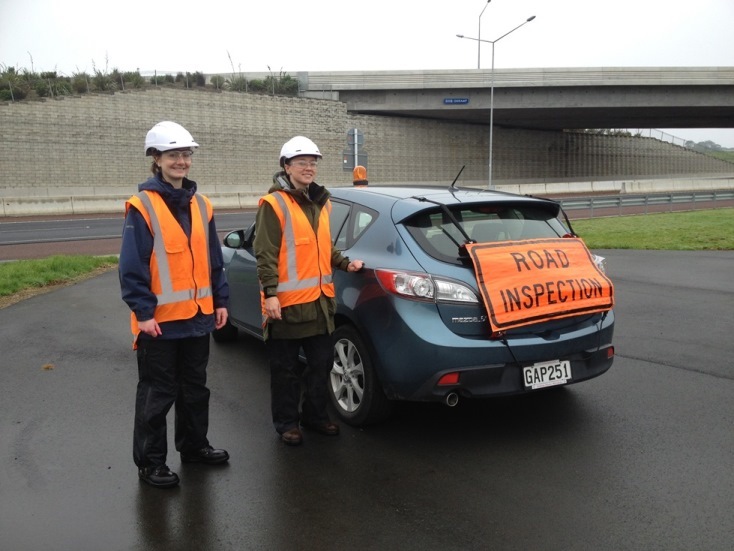 Esther Dale (L) and Dr Cheryl Krull (R) during Cheryl’s postdoc research on rodent behaviour around roads. 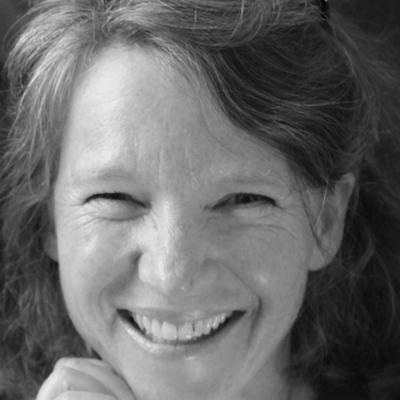 Dr Margaret Stanley is a Senior Lecturer in Ecology, School of Biological Sciences, University of Auckland and is the programme director of the Masters in Biosecurity and Conservation. Her interests in terrestrial community ecology are diverse (particularly in terms of taxa), but can be grouped into three main research strands: urban ecology; invasion ecology; and plant-animal interactions. The most interesting and challenging projects are where these three strands overlap! 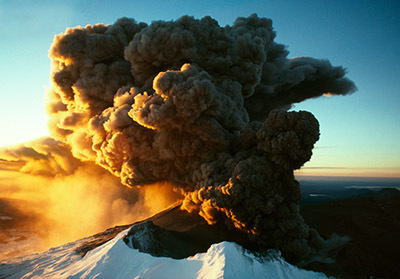 What do volcanic eruptions and invasive wasps have in common? 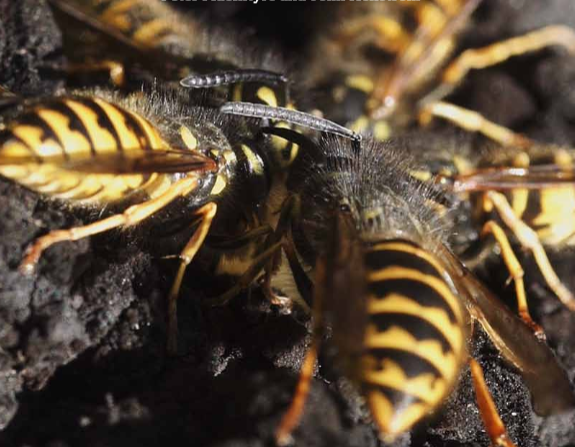 A recent study estimates that introduced Vespula wasps cost the New Zealand economy at least $130 million per year – equivalent to the estimated cost of the 1995-97 Ruapehu eruption. The primary sector, particularly farming, beekeeping, horticulture and forestry bear the brunt of the economic impacts of wasps, but an already stretched health sector also shares the burden. The study did not attempt to quantify the economic impact on the tourism sector, although we know that encountering high densities of wasps puts off many people from outdoor recreation. Vespula wasps are invasive in many parts of the world, but New Zealand has the highest recorded density, not exactly our greatest claim to fame. However, I argue that the ecological impacts of wasps are far more damaging than the economic costs. New Zealand has no native social wasps or bees, so the arrival of two species of Vespula wasp introduced a novel functional group into our ecosystems. I have spent many years studying the impact and control of wasps in South Island forests infested with endemic, honeydew-producing scale insects. Sugar-coated trees are surely a wasp’s idea of heaven. Native birds, lizards, insects and microbes all feed on honeydew, so when wasps monopolise the resource, many native species miss out. Additionally, wasps are predators of a wide range of invertebrates, attack nestling birds, and disrupt nutrient cycling. Vespula wasps feed by trophallaxis – food gets passed around the colony making it a good target for control. Social insects are notoriously difficult to control – the social structure of colonies, high reproductive rates and dispersal ability makes management at the population level difficult. Biological control of wasps using Ichneumonid parasitoids has not been successful, although there are other potential agents such as Pneumolaelaps mites which might be more effective. Poison baiting using fipronil is very effective, but currently not commercially available. There are other options for wasp control such as pheromones or ‘RNA interference’ technology. Some of these may be developed as part of New Zealand’s Biological Heritage National Science Challenge, but don’t hold your breath for a single silver bullet arriving in time for next summer. Unlike unpredictable, sporadic volcanic eruptions, I can reliably predict that for now there will be ongoing economic and ecological harm from Vespula wasps in those parts of the world they have invaded. 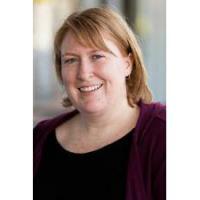 Dr Jacqueline Beggs is an Associate Professor in Ecology, School of Biological Sciences, University of Auckland. She has failed to focus on a single topic; her research covers everything from impact and control of introduced invertebrates, to assessing the role of dung beetles and native bees in ecosystem function, and the recovery of grey faced petrels on a restoration island. What does drought mean for New Zealand’s native forests? I don’t know much about Rolling Stone magazine. Like many, I presume, my impression is all electric guitars and rock and roll. So to stumble across one of the most engaging and accurate descriptions of the impacts of the current years-long drought on the forests of California was surprising in the least. The article is well-written and covers the complexities of plant water stress in an understandable way. It also addresses the global problem of drought and what that means for trees. The news is not good but since when did tree physiology become so rock and roll? Well, California is currently in the worst drought on record. Agriculture, food prices and water availability are suffering. The combination of low rainfall and extreme heat is killing forests and woodlands in a climate change double punch. And the situation is similar across the US and in other parts of the world where droughts are becoming more frequent and severe. Here in New Zealand, we might expect to be buffered from such events. Our maritime climate is often described as mild. Temperatures are neither too cold nor too hot and annual rainfalls are generally more than adequate. Yet droughts are a common feature in the climate of New Zealand and images of browned agricultural areas have become common in the media in recent summers. The summer of 2012-13 was the most widespread and severe in 70 years. With future projections indicating parts of the country will spend more time in drought, there will be measurable impacts on agriculture, the economy and even health. While droughts in New Zealand last months, not years, there is still a real potential for substantial impacts on forested systems. Tree mortality has been recorded in our native forests and there is evidence that trees living in wetter climates may have less of a buffer against dry periods. All forest biomes are equally susceptible to drought mortality no matter what their current rainfall is. If droughts are not severe enough to cause death, other processes and functions may be disrupted. For instance, carbon cycling can be altered and pathogen attack can be exacerbated. Some of the research I’ve been doing with students and colleagues is showing some native species have adaptations for drought survival (here and here) but we need more research to understand the thresholds of water stress, recovery after drought and impacts of subsequent droughts. 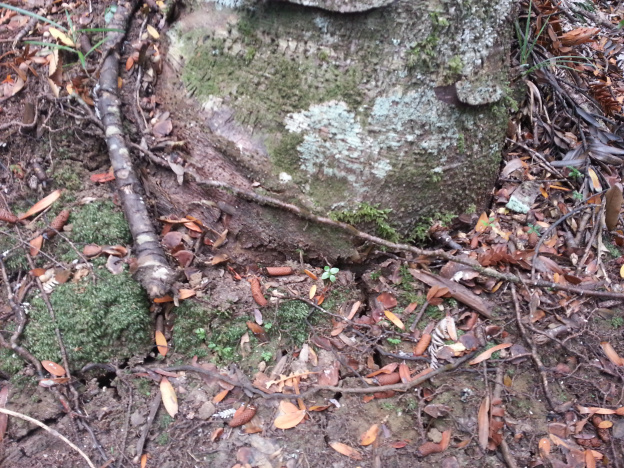 I’m sure drought research will never reach rock and roll status in New Zealand but we’re certainly working towards improving our understanding of the threat of drought in native forests. Dr Cate Macinnis-Ng is a Lecturer in Ecology, School of Biological Sciences, University of Auckland. She is a plant ecophysiologist and ecohydrologist working on plant-climate interactions.